Farmhouse style is all the rage these days thanks to Joanna Gaines from Fixer Upper. 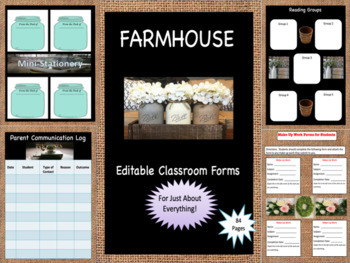 This 84-page product download contains just about any form a teacher would need in the classroom and every page has the Farmhouse style you are sure to love! 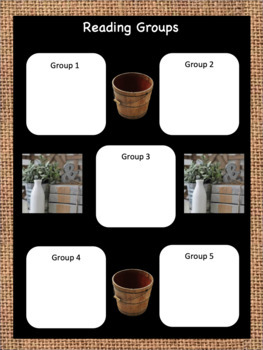 This print-and-go product is sure to save you lots of time and you will be the envy of your colleagues with neatly organized and matching forms, binder covers, etc. 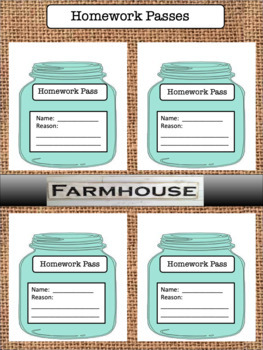 for your classroom. If any given form is not exactly what you are looking for, then you have the capability to edit the form to suit your needs. 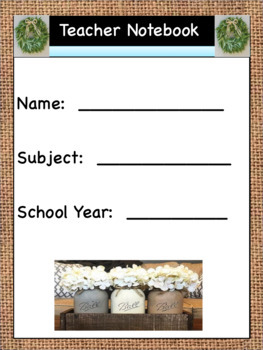 This product is perfect for both new teachers and veteran teachers who desire to be more organized. If you like this product, please consider "Following Me." All of my products are free for the first 10 people who download a new product. If you are a follower, you will receive a notification as soon as a new product is uploaded. I hope you enjoy this product! Thank you for your purchase.